Donegal Mutual Insurance Company, Marietta PA.
Armstrong World Industries, Lancaster PA.
As an extension of our scheduled exhibits and our framing expertise, we offer our corporate and residential clients consultation services. During the initial site visit to discuss preferences, corporate image and budget. Later, we’ll work with your architect and/or designer to integrate art and other design elements. We’ll clarify your preferences through interviews and visual presentations, pre-selecting the most suitable art within your parameters. If appropriate, we’ll incorporate existing art. We can even consult on the lighting of new or existing artwork. 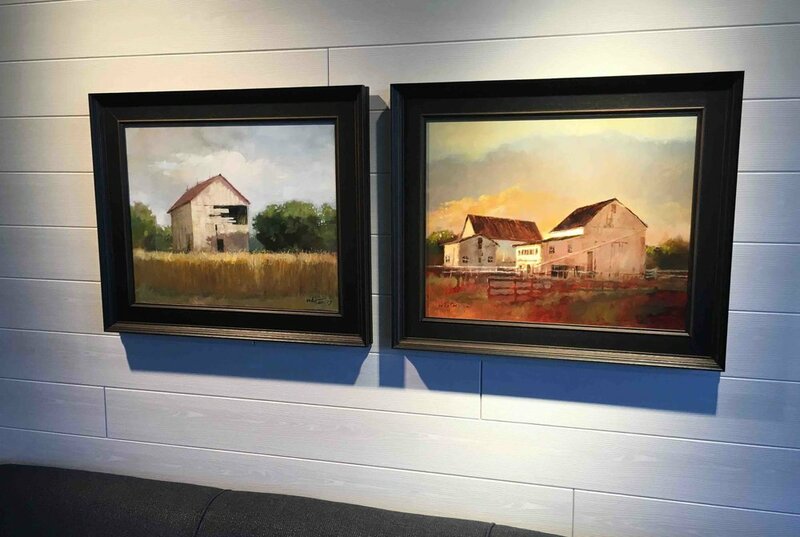 Garth specializes in assisting corporations, architects, designers and developers with the selection, acquisition, delivery and installation of artwork.